Will a Business Degree Prepare me to Open my Own Business? 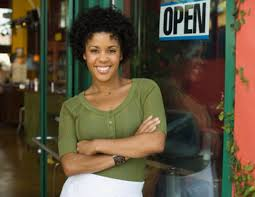 Going back to school and earning a college degree is excellent preparation to open a business. Running your own business gives you complete control over your future. You have the chance to hire your own employees, find financing, stick to a budget and create products and services that will increase your total revenue. Earning a business degree lets you see how companies operate and gives you skills that might make your business a success, but you need to look at what will happen when you go to college. If you have a few college credits under your belt, consider going back to school to earn a bachelor’s degree in business. If you have a degree in business or another field, you can look for a spot in a Master’s of Business Administration (MBA) program. An MBA program is a two-year program open to those who have an undergraduate degree and an interest in business. A bachelor’s degree lets you take a wide range of general business classes, and an MBA program will let you take courses specifically designed for those interested in running their own companies. One way that college helps you run your own business is that it offers multiple courses designed for business professionals. Leadership classes teach you how to be a leader and get others excited about following you, while entrepreneurship classes focus more on the ins and outs of starting and running a company. You’ll also take classes on the ethical implications of running a business, business accounting and laws for business owners. Business programs also include communications courses that will help you better communicate with both the employees you hire and the clients who choose to work with you. When you open your own company, you need some professional relationships. These relationships can help you get reduced prices on everything from advertising materials to office supplies. It’s often hard to meet new people and form those relationships as a new business owner, but college makes it easier. Most business schools and departments host events that let students spend time with professionals working in the industry. You may even have the chance to develop a mentoring relationship with someone in your industry. Your mentor can help you decide on the business you want to open and how to get that company off the ground. Business school is good preparation to open a business because it lets you choose a concentration. Shawn O’Conner of Forbes recommends that you select a school that offers a concentration that applies to your career. A concentration in entrepreneurship is one of the best ways to learn the valuable skills that will assist you as a business owner. These programs focus on budgeting for your company’s needs, leading others and ensuring that your business follows the laws of the local, state, and federal governments. The right concentration can help you make your new business soar. A large number of new companies fail within the first few months to year of operation. If you want your business to succeed, you need to know what it takes to run a company. Going back to school is great preparation to open a business and can teach you everything you need to know about running your business.